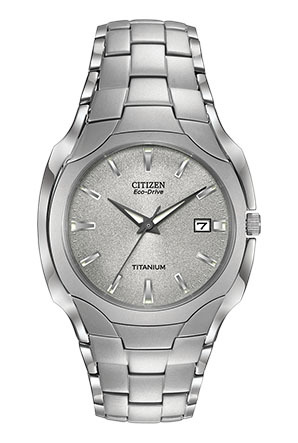 Make a statement with this bold Super Titanium™ CITIZEN® Paradigm watch with a classic silver-tone dial. The features of this 3-hand model include a date indicator and luminous hands and markers. Featuring our Eco-Drive technology – powered by light, any light. Never needs a battery.